Research – The Shining S.T.A.R.L. Societies and organizations can provide a clue to city life for both sociological and biographical researchers. Membership in the Elks, Masons, International Order of Odd Fellows, Woodmen of the World and similar societies can help genealogists make sense of their ancestors’ after-hours activities. In this case, the Arizona Weekly Journal-Miner published a report of a Chautauqua group meeting in Prescott. Chautauqua meetings were part of a national system of adult education featuring lectures, musical performers, and religious preachers. It had both local chapters and a tent-show circuit. Prescott’s appears to be a local, or “daughter,” chapter. What does a neighborhood look like before it exists? 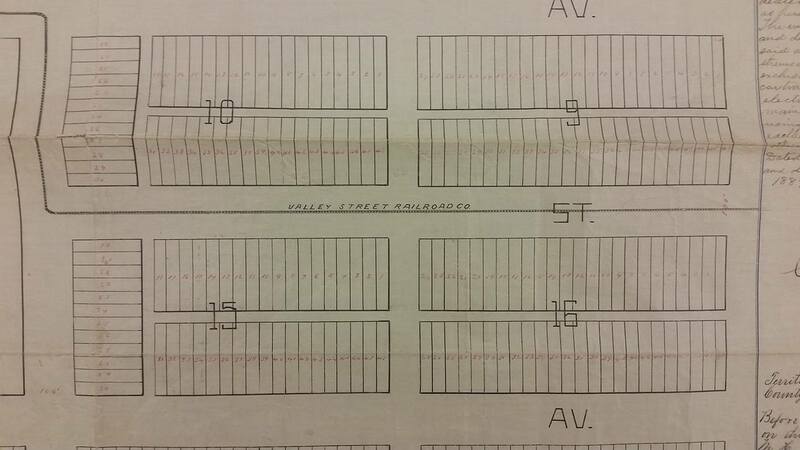 How do blank square-mile sections fill with ordered rows of streets and houses? How does a developer sell that plan to investors or request development rights from the city and county for that neighborhood? Before the first shovel broke ground to build your neighborhood, those who planned it used a plat map. Plat maps are filed by book and page number at the Maricopa County Recorder’s Office. 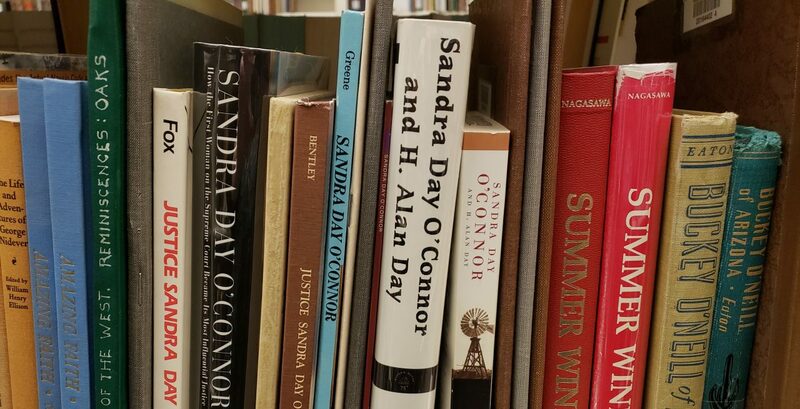 The originals eventually pass to the State Archives. You can view unofficial copies of the maps here*. This website wants you to enter the book and page number. That information can be found on a deed. The Maricopa County Assessor’s office also has links to this information on their parcel viewer. Historic plat maps are also interesting from aesthetic perspective. They predate computer-aided drafting, and some are practically works of art. They provide direct clues how a neighborhood used to look. The plat map for the Capitol Addition—Book 1, page 62– shows Tract A set aside for the site of the State Capitol, and other details. It shows the Valley Street Railway Company’s route down Washington Street. 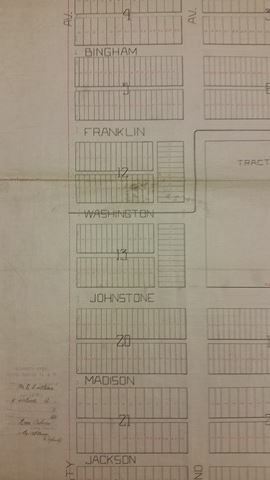 It also shows that several streets have changed name: Bingham became Monroe, Franklin became Adams, and Johnstone became Jefferson. It also shows that lots surrounding the capitol are small and narrow—a detail visible in slightly later aerial photos of the area. Some neighborhoods are platted by corporations. Other early plats show groups or individuals who gave neighborhoods now forgotten names. Simm’s Addition, registered with the County Recorder by James T. Simms in 1893, sits between Central and Third Avenue, just south of Interstate 10. Two of its streets, Westmoreland and Portland have parks in the middle of their streets, but only Portland remains. Westmoreland is now occupied by the Japanese Friendship Garden and the Irish Cultural Center, near the park. Interested researchers could construct the layout of the many neighborhoods sacrificed to Interstate 10 using plat maps alone. That did not stop the City of Phoenix from clearing some vegetation and slightly reshaping the wash in the late 1990s, but the plat map explains that area will probably always remain undeveloped. *If the electronic copy of the plat map at the County Recorder’s website is difficult to read, you can see the early originals at the State Archives or at the Recorder’s office.